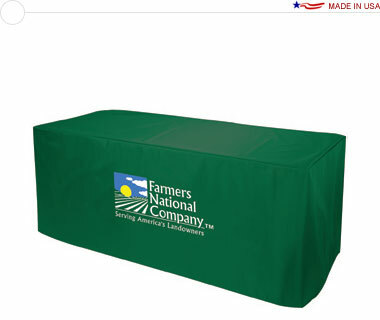 A nylon table cover printed with your logo (submitted as a vector artwork file), available in 11 nylon colors. 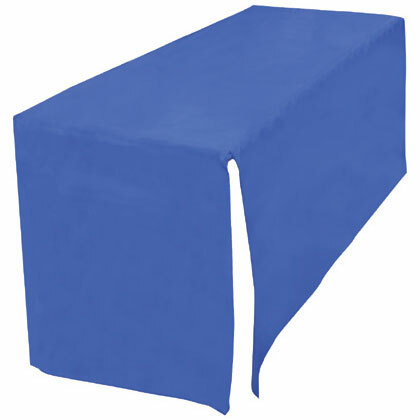 Sized to fit on an 8′ wide, 30″ tall table covering four sides. Made from a durable 10mil coated nylon fabric with a luster finish, suitable for indoor and outdoor use. Great for company picnics, banquets, outdoor festivals and more. The flat shipping rate for this package is $31.60 USD for standard delivery within the continental United States. Alternative shipping methods and International shipments are available; please contact for a quote.